OREANDA-NEWS. 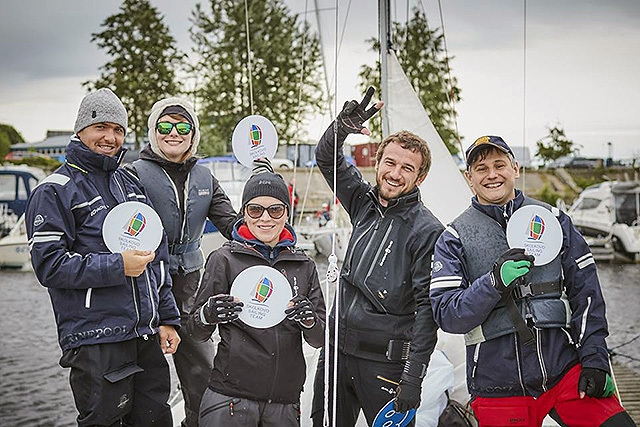 The SKOLKOVO Sailing Team won the 2nd stage of the MBA League Regatta—Alumni Business Cup 2016, which was held on June 9–11 in St. Petersburg. The MBA Regatta, which has been organised by the INSEAD Business School (France) since 1992, gathered alumni, students, faculty and friends of the leading European and American MBA schools. The races of crews sailing Platu 25 yachts were held on the waters of the Gulf of Finland and the Neva River. The roles on the yacht of the SKOLKOVO Sailing Team were outlined as follows: the helmsman—Maksim Merzlikin, the mainsail person—Elena Morozova, the boatman—Evgeniya Semykina, the pitman—Sergey Mulyar, and the bowman—Igor Puzanov. The SKOLKOVO Business School Team finished the competition leaving behind the INSEAD team, which was represented by three crews, the London Business School Team, as well as two crews of the Chicago Booth School of Business and the crew of the Rotterdam School of Management. The weather conditions in St. Petersburg were severe. In the Northern Capital, we had to fight with a strong wind of 20 knots with gusts nearing 30 knots. Despite this, it was planned that the race would be held on the big water, since it was not possible to hold the competition inside the bay: the wind direction prevented putting on the distance without crossing the path of the maritime traffic, particularly intensive at the weekend. The race distance was very close and tight.